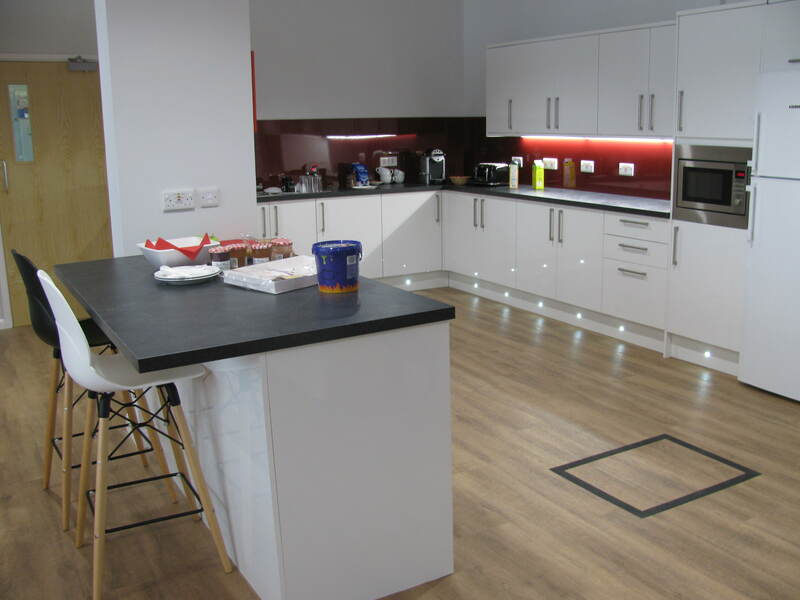 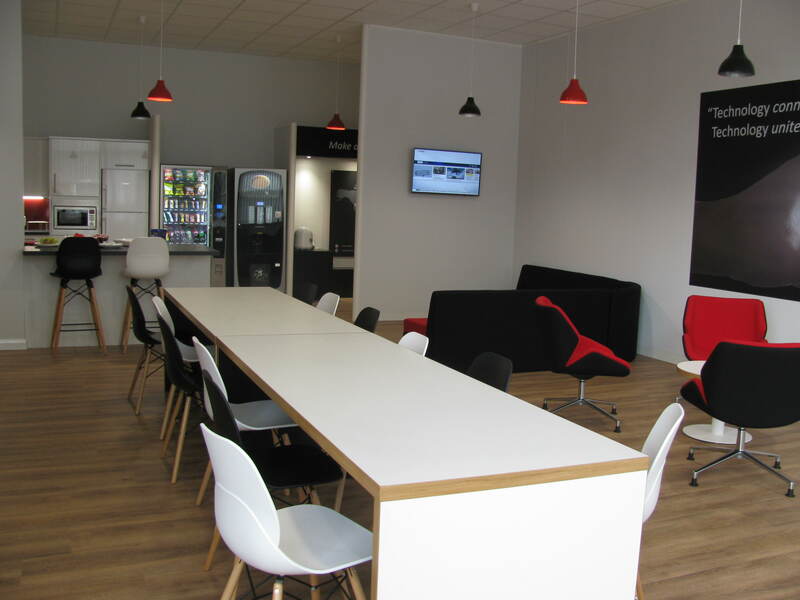 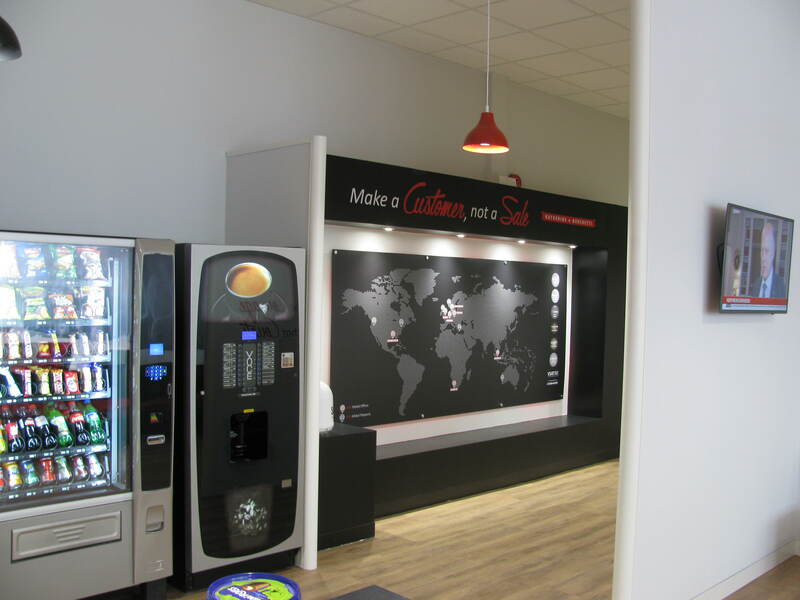 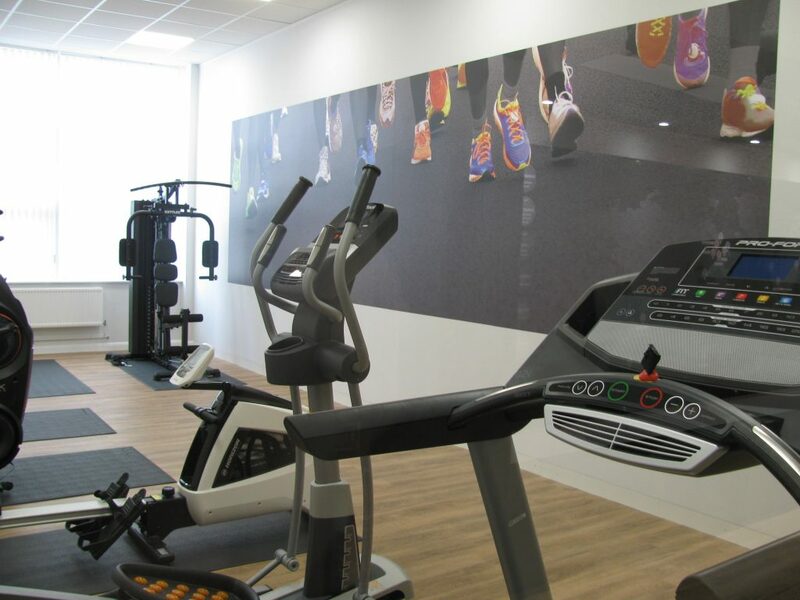 With the mental health of employees becoming big on the agenda of many business owners, one Satellite Communications company contacted us with a brief to carry out refurbishment works on their staff kitchen and break area, as well as create a brand new gym area to allow employees to relax and switch off. 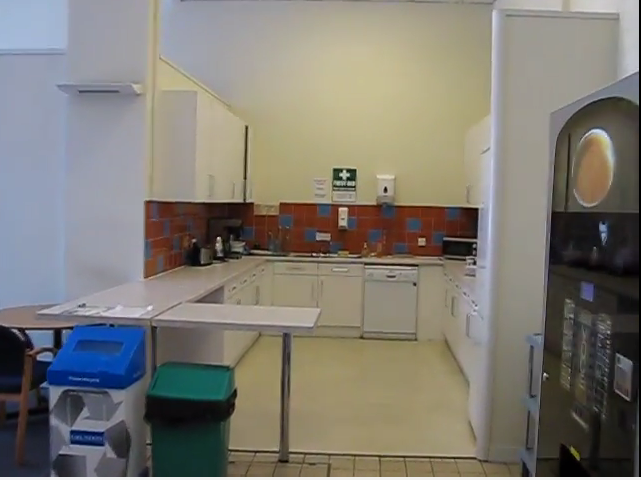 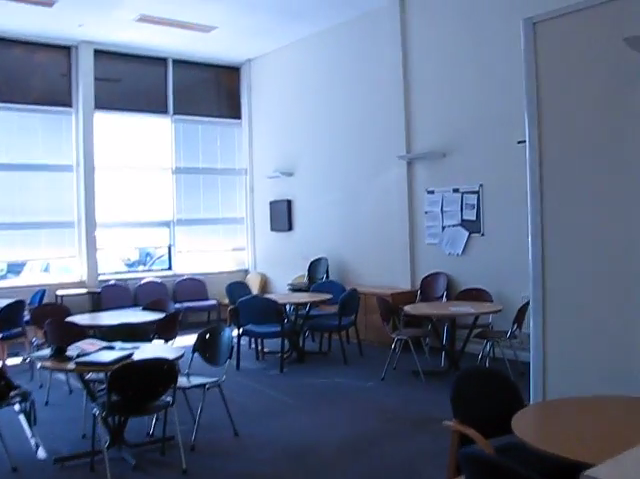 The company’s previous staff kitchen was very old and tired, was hardly used by employees and was beginning to become more like a storage room than a relaxing break room. 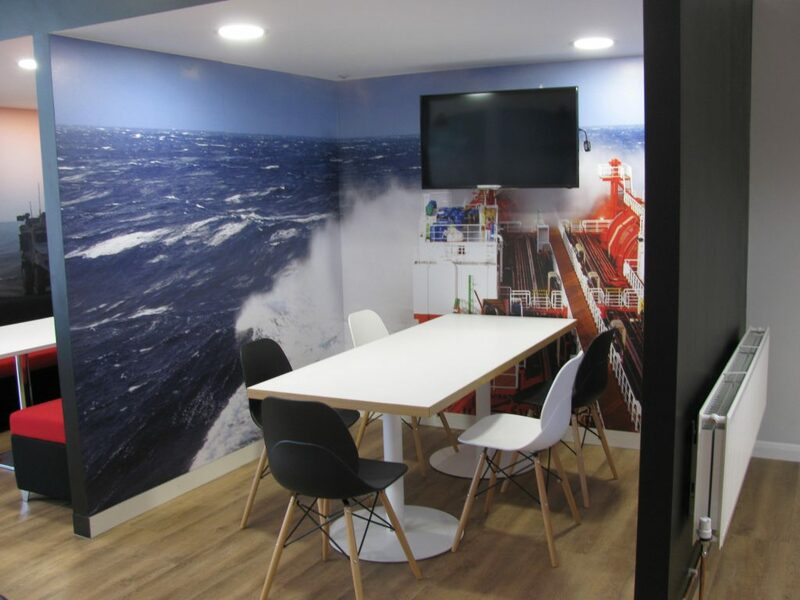 We were given a brief to create a modern space that reflected the company image and the value that they put on their staff. 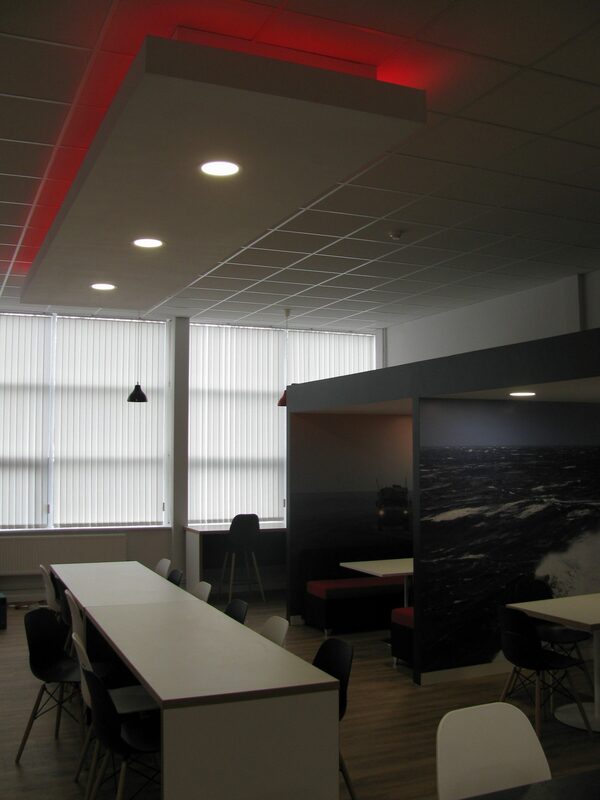 The re-fit had to be completed in time for an important meeting that the company was hosting in a few weeks time. 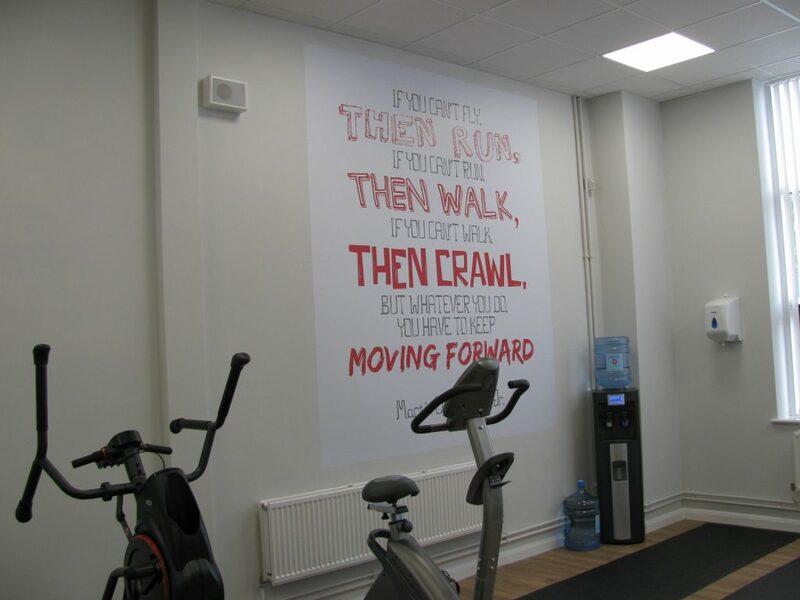 The design reflected the corporate identity and branding of the company whilst still creating a space that allowed staff to switch off from their day for the time that they were using the facilities. 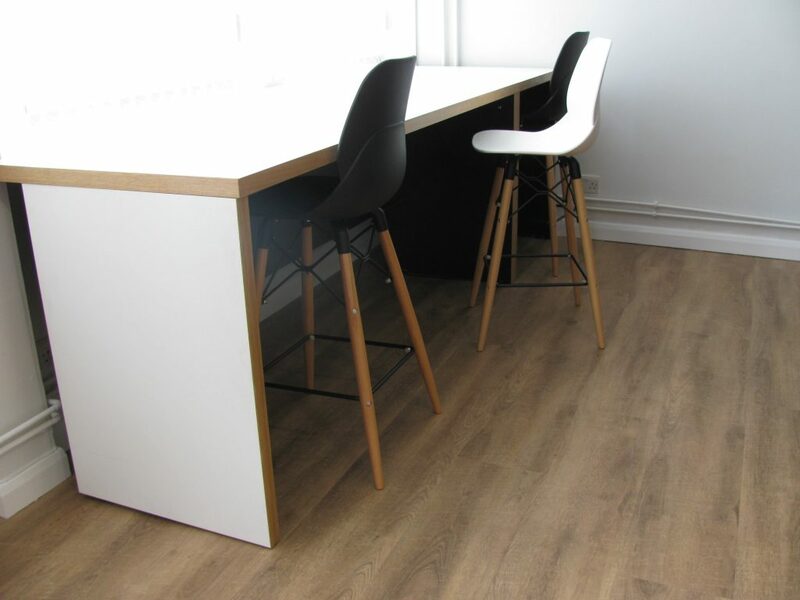 We incorporated a range of different furniture from “Oyster” and “Shore” chairs and stools to “Jive” benching to create a versatile and functional space. 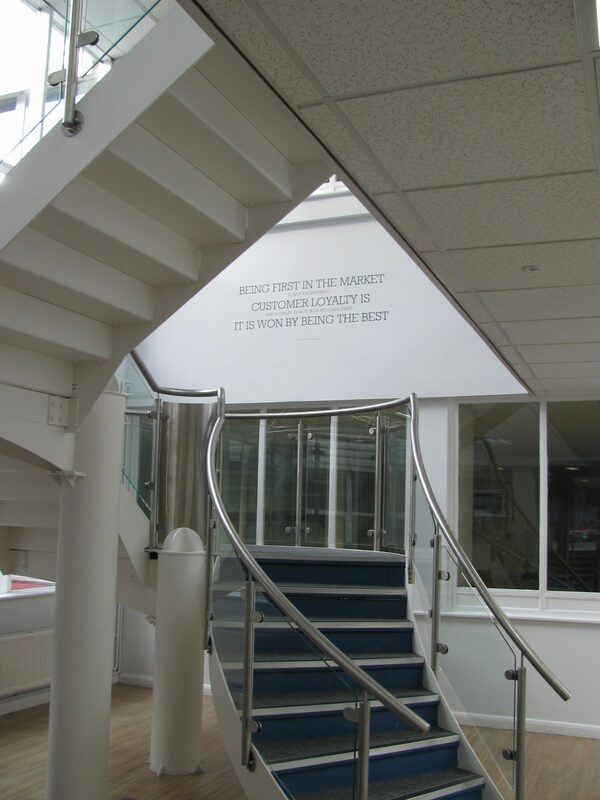 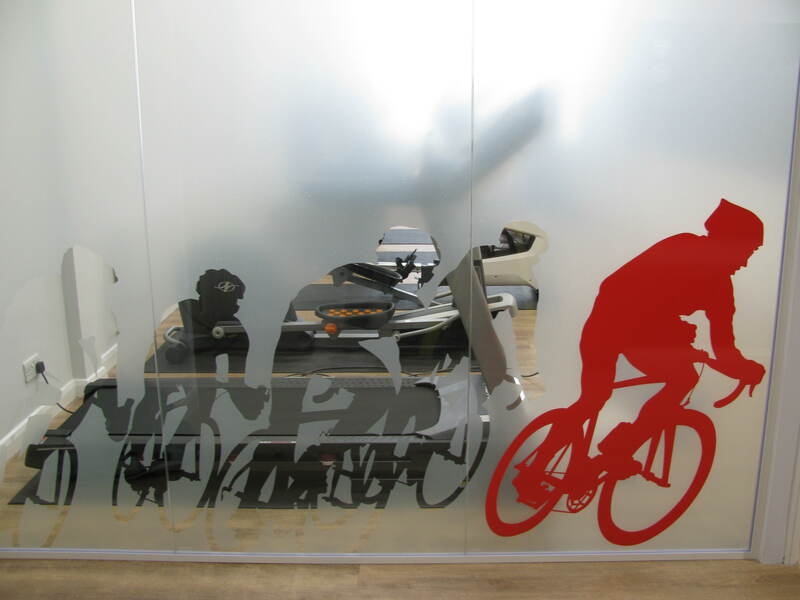 We also made use of a range of imagery to brighten up the walls which reflected projects that the company has worked on and their field of expertise, as well as to define the use of the rooms such as the running mural in the gym. 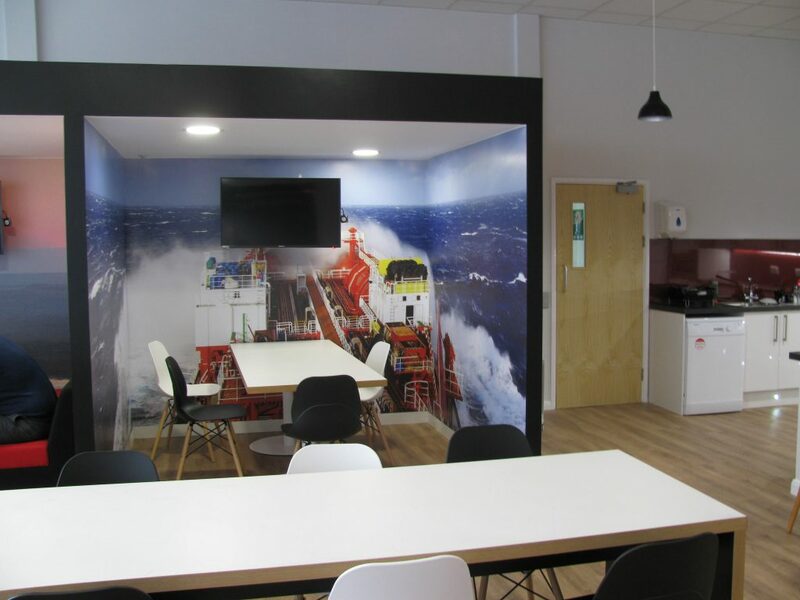 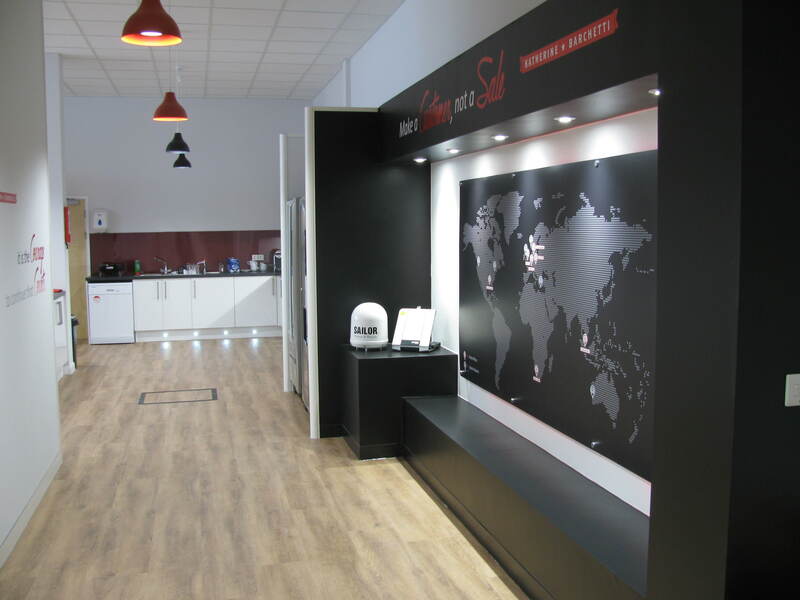 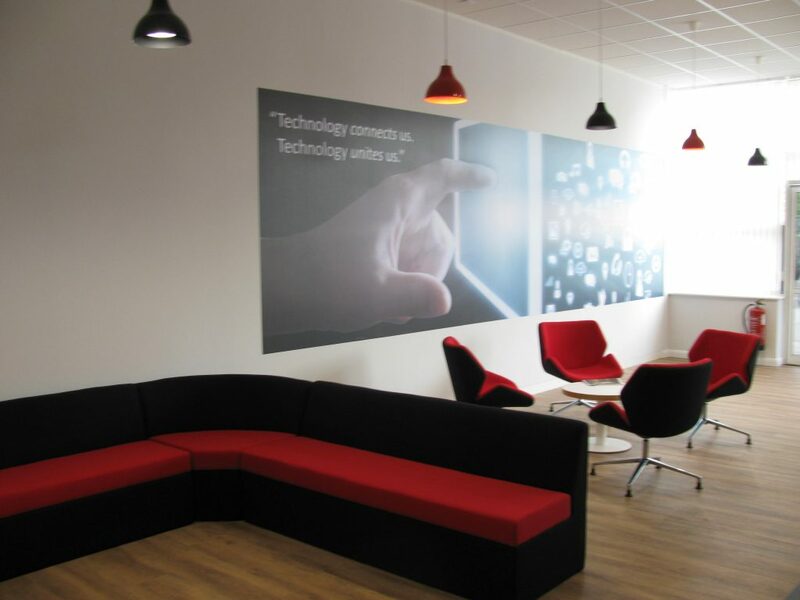 From design to completion the refurbishment took six weeks and was finished in time for the company to show off the new area during their international meeting!